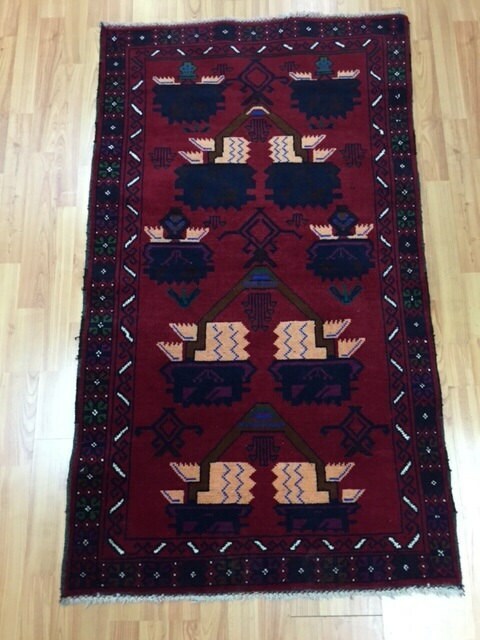 Actual Size: 2'9" x 4'9"
This gorgeous Oriental rug is a 20 year old 2'9" x 4’9" (3' x 5') Afghan with a Serapi design. 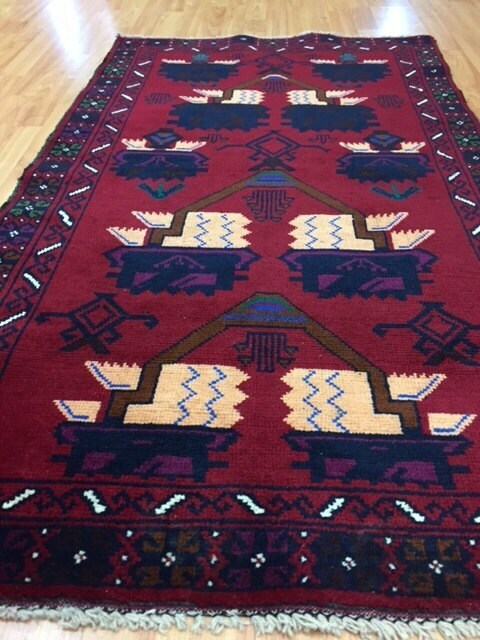 This hand made vintage Afghan Serapi rug is made with 100% wool. 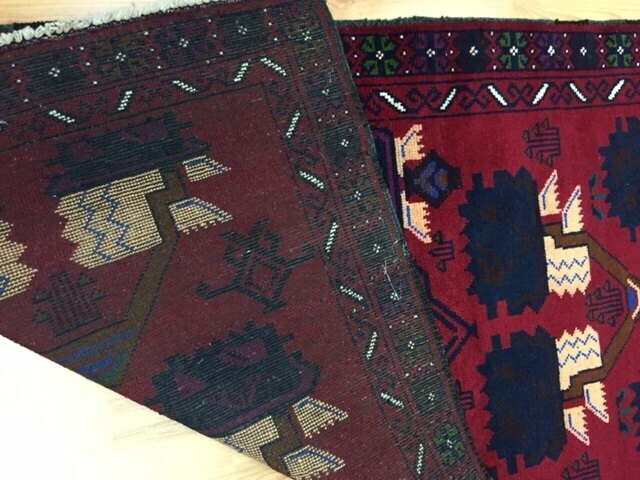 Serapi Rugs belong to a family of regional Persian rugs produced in the Iranian province of Eastern Azerbaijan and the area surrounding Heriz. The village of Serab or Sarab where Serapi rugs are generally attributed is located south of the region responsible for the eponymous Heriz rugs - the region of Heriz - and less than 80 miles east of Tabriz. 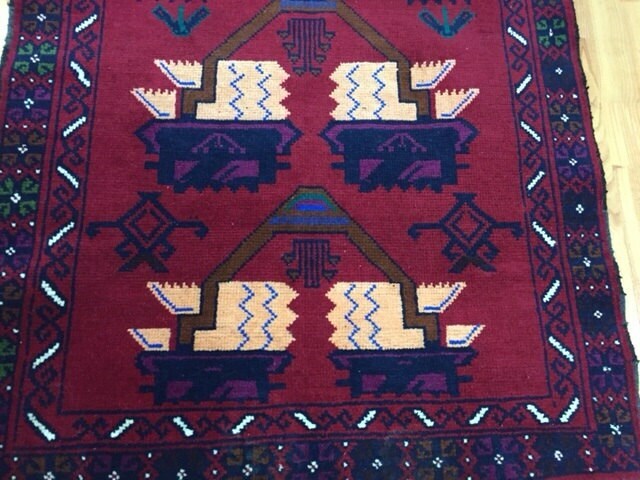 Serapi rugs are known for producing extremely fine carpets decorated with traditional patterns and loosely spaced designs that prevailed in the area before workshops began catering to foreign tastes. 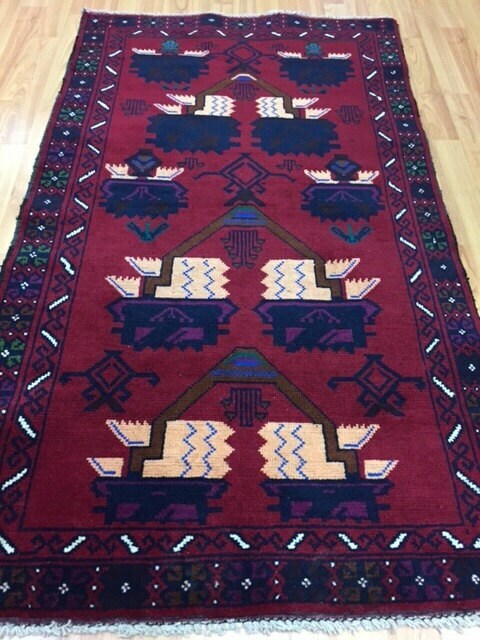 Serapi rugs are chic, often with open designs. These unique rugs represent a wonderful combination of tribal patterns from the Caucasus along with early Safavid influences. Unlike the boldly colored and lavishly decorated rugs produced in the greater Heriz region, Serapi rugs feature a variety of symbolic patterns rendered in a combination of light colors, neutrals and stark camel brown.